Picked up this new furnace on craigslist last week for $40. I had to trust the seller that it worked as he didn’t have a way to plug it in and test it ( sound familiar Grant . I got home and switched out a plug and luckily it fired right up! 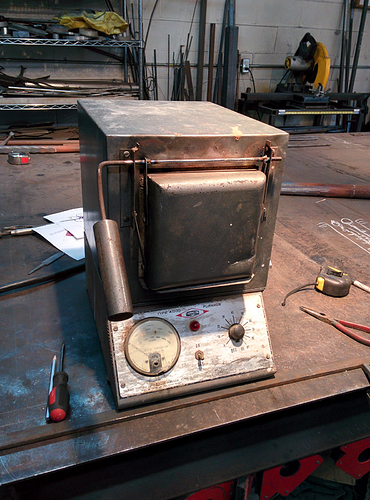 This little baby should really help with heat treating and tempering. The next step is to understand what the dial means on the right side. I turned it up to 40 and that seems to equate to 1000F but the temp seemed to fluctuate a little bit. Awesome find and a deal I’d say! Even if that dial doesn’t work I just recently built a high temperature themometer for my forge with PID display, about $70 total cost. Yeah it’s a little scary getting it things that can’t be plugged in and tested but sometimes those are the best deals - hence the $40! That is definitely gonna make the heat treats a breeze. Ohh I was confused and thought the temperature wasn’t working that well - did it fluctuate just a bit or like… 50+ degrees? I’d say you are good if its around the 50 degree mark… That is damn close. Is its intended purpose heat treating? 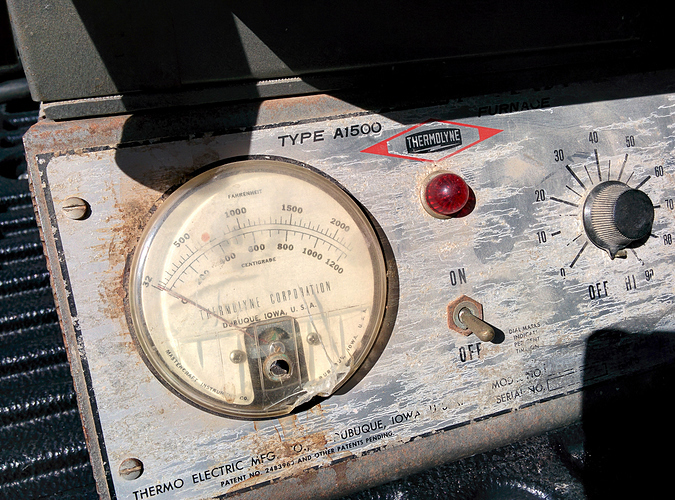 I believe the temp gauge is the problem so maybe adding a new meter would help. I first need to just start using the unit and understanding it’s quirks before making any adjustments. What’s on the inside of it, elements like a kiln has?